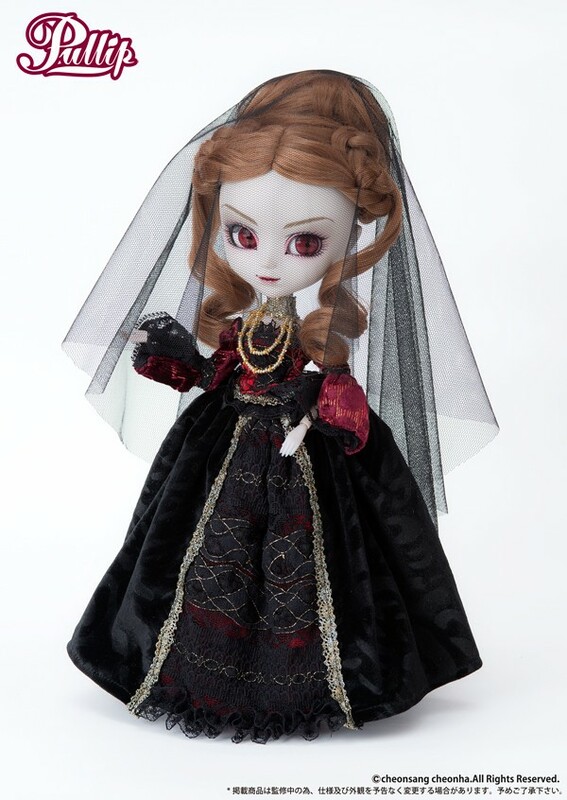 Four years after the release of the original Vampire Pullip Elisabeth a new Vampire Pullip was released, Pullip Carmilla. 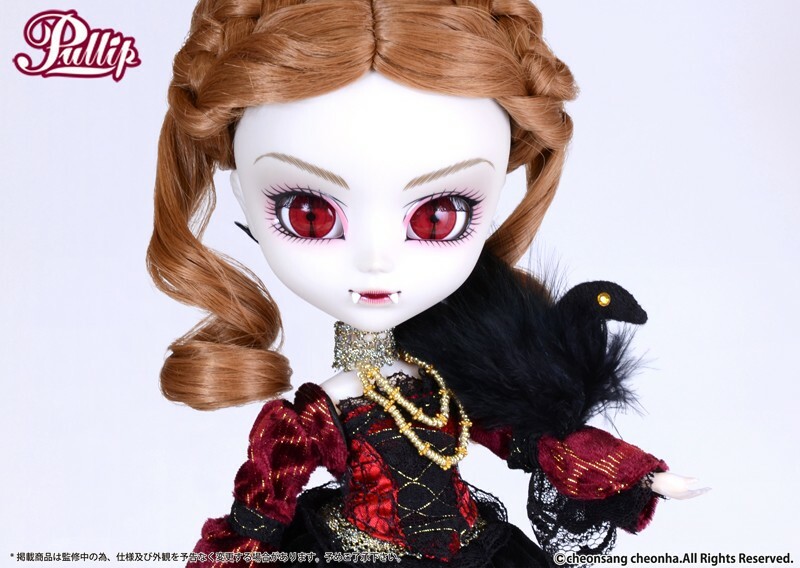 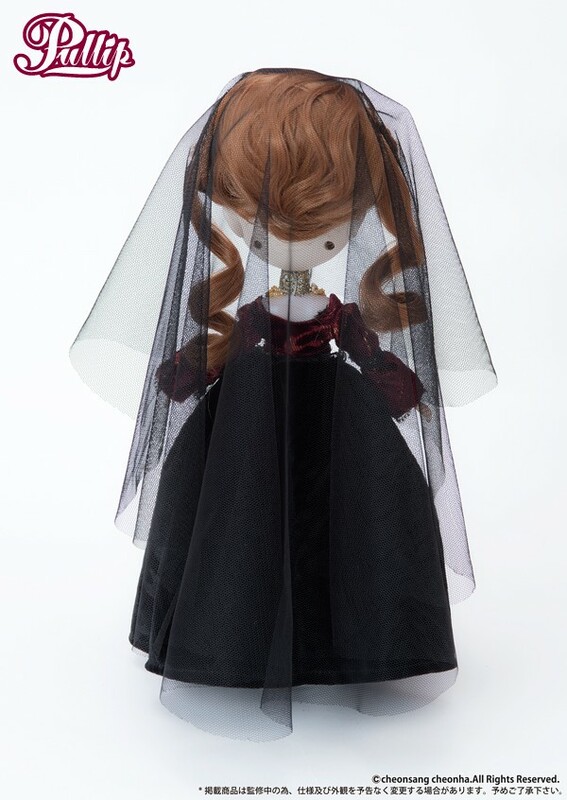 Pullip Carmilla is an original design by AGA and was released in October of 2014. 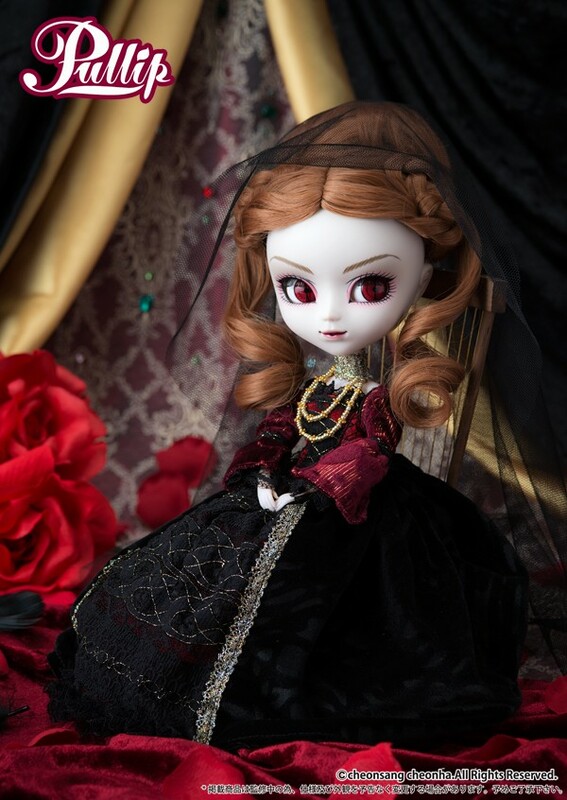 Feel Like So: The scent of my beloved’s blood makes my heart go mad…Let’s eternally wander the darkness of the night….Feel Like So. 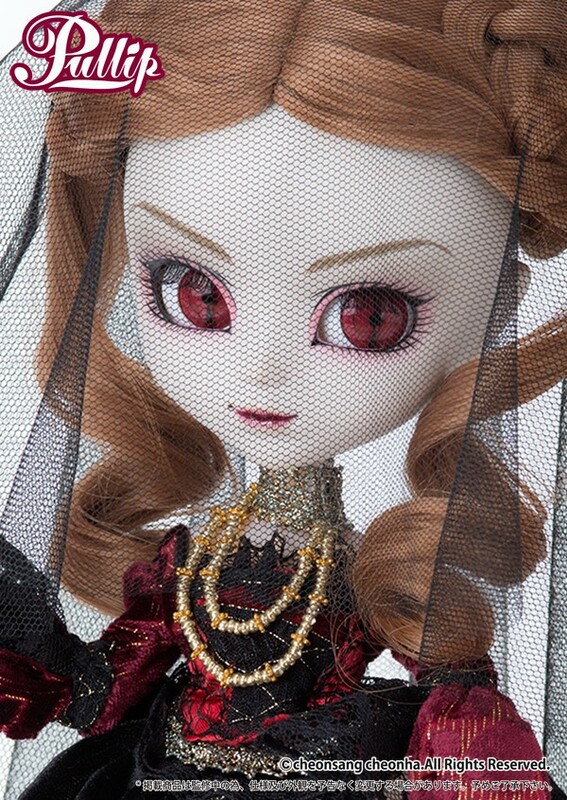 Wig: Dark Strawberry Blonde Wig in an elaborate updo. 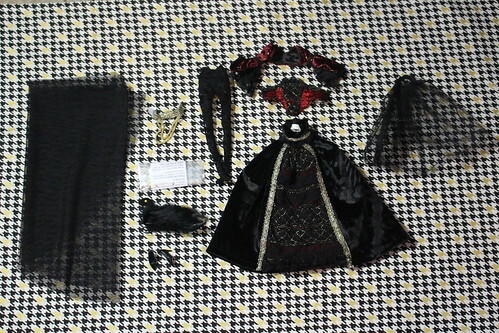 Stock: Pullip Carmilla’s stock outfit consists of skirt, underskirt, corset, bolero jacket, tights, removable fang set x 2, veil and choker/necklace. 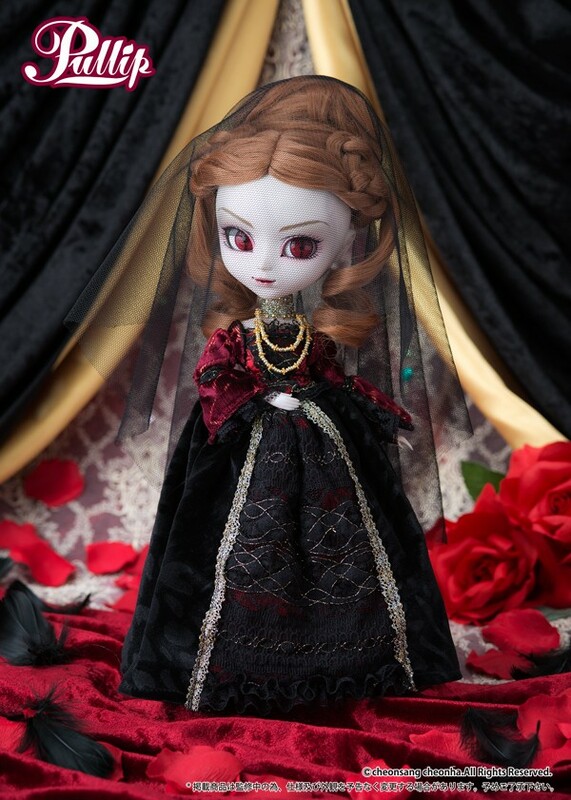 Obitsu Match: None, Carmilla has a greyish undertone to her skin so she does not have a perfect obitsu match. 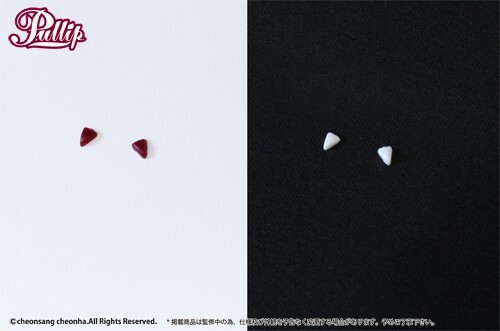 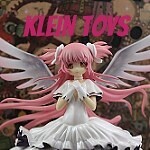 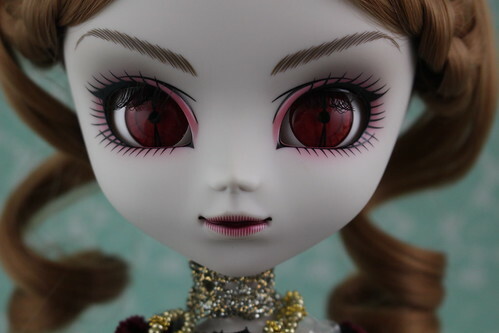 Special Notes: Pullip Carmilla comes with two sets of removable fangs, one set bloody the other set clean.